PUNE: The Wanowrie police are looking for an SUV driver, who manhandled a 31-year-old woman after crashing into her high-end car at a traffic junction near the Pune Sub-Area Commandheadquarters on Monday afternoon. The woman and her daughter were headed for a doctor's clinic on Dhole-Patil road from Undri-Pisoli in their luxury car that had stopped following a red signal at the traffic junction. 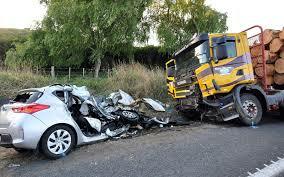 A speeding sports utility vehicle (SUV) came from the rear and crashed into the car. "Before I could look behind to check what had happened, the SUV driver came menacingly towards my car and started touching me inappropriately in an attempt to drag me out," the woman told pune-news.com. She got down from her car to check the damage caused to it and asked the driver to show his licence. A fresh argument ensued and the driver threatened her to do whatever she wanted to before leaving the spot. The woman later reported the matter to the police and an offence of outraging modesty (section 354), use of words, gestures intended to insult modesty of woman (section 509) and causing mischief (section 427) under the Indian Penal Code has been registered against the suspect. Incidentally, when the police inspected the spot for a spot study along with the woman, they found that the CCTV cameras in the area were not working. The woman said, "I pushed the person's hand off me after he pulled my shirt. He abused me in a foul language and held me responsible for stopping the vehicle midway. I got down to check the damage caused to my vehicle and told him that I had stopped at the signal along with other vehicles. He pushed my hand when I asked him to furnish his driving licence. He, instead, accused me of causing damage to his vehicle." The suspect gave his name and sped away. The woman, a homemaker, noted down the registration number of his SUV and gave it to the police for action. Wanowrie police senior inspector Sayaji Gaware said, "We are in the process of arresting the suspect at the earliest." To a query that why the CCTV cameras were not working, the police officer pledged to look into the matter. Pune Cantonment Board chief executive officer D N Yadav said the CCTV cameras were installed and maintained by the police. Road rage cases are increasingly becoming common in the city with many citizens regretting that they hear abuses being hurled at each other by motorists every day. At times, the situation becomes grim within minutes after heated exchange of words between the two parties. Last year in October, a hotelier from Satara died after being brutally assaulted by occupants of another car somewhere between Vadgaon bridge and Mutha river bridge. The police suspected that the assault was a fallout of a road rage. In March 2017, a road rage incident had snuffed the life of an 18-year-old boy, when two drunk youths, riding a motorcycle, bludgeoned him to death and gouged out his eyes because he had brushed against their bike while crossing the road, causing minor damage to the vehicle.